Meticulous in detail, handcrafted, rich in both flavour through to its smooth finish; both Woodford Reserve and Rockpool Bar & Grill, Sydney and Melbourne have partnered for a once in a lifetime collaboration that you just cannot miss. 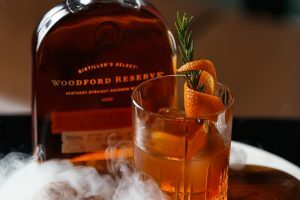 Sourced directly from Kentucky in the United States, Woodford Reserve bourbon part of the Brown-Forman company has arrived in the pristine hands of Rockpool Bar & Grill for a Barrel to Banquet Dinner Series through till Tuesday 30 April 2019. Incredibly, Woodford Reserve Distillery is one of Kentucky’s oldest and smallest distilleries. Sitting along Glenns Creek, the distillery itself dates back to 1812 when Elijah Pepper began crafting whiskey. Today, Woodford Reserve Distillery is home to a staggering 152 meters long gravity fed barrel run, copper pot stills, an 100 year old cypress wood fermenter and one of the only heat cycled barrelhouses in the world – all of which ensure that every drop of the iconic Woodford is created to its signature colour and flavour. Chief Operating Officer of Rockpool, Frank Tucker, ventured to the humble home of Woodfords distillery in Kentucky in 2018 for the full whiskey experience. After working with Master Distiller Chris Morris and Master Taster Elizabeth McCall, Frank was able to design his own personal batch of whiskey. Made and then bottled into 180 personalised single litre bottles with custom Rockpool labels; this Woodford Reserve ‘Double Oak’ Rockpool Premium Blend Bourbon is remarkably available for Sydneysiders and Melbournites to enjoy. With no two Woodford Reserve’s ever tasting the same, this is an experience that is surely limited to supply. Known for its complex, balanced, rich vanilla flavours and layering of oak, spice and smooth finish – partaking in the Woodford Reserve experience, whisky drinkers will most certainly agree that from taste, the iconic bourbon affirms to its objective of using an artisanal process. Woodford Reserve isn’t manufactured, it’s handcrafted. Exploring the infamous flavour wheel, whisky sommeliers will soon understand that Woodford Reserve uses five primary characteristics to represent the five sources of flavour in the much-loved bourbon: wood, grain, sweet aromatics, spice and fruit or floral. 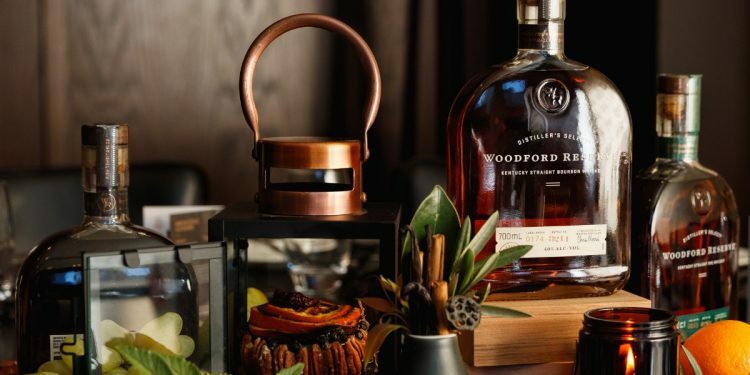 As part of their collaboration, Woodford Reserve and Rockpool Bar & Grill have drawn inspiration from this flavour wheel to ingeniously create a line of remarkable cocktails part of their Barrel to Banquet series. Using an Old Fashioned Glass place the block of ice into the glass first. Pour ingredients into glass, stir. 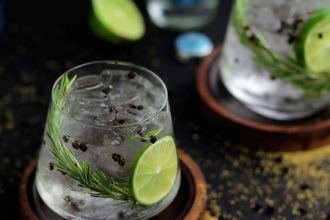 Using the orange peel, wrap it around the rosemary and place into the cocktail and enjoy. The Woodford Reserve and Rockpool Bar & Grill Barrel to Banquet dinner series was on Wednesday 3 and Wednesday 10 April. 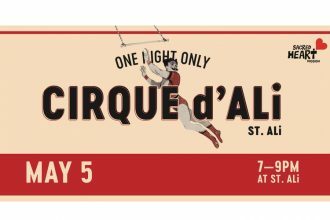 But for those who missed out, there is a limited edition dessert and cocktail which are available in both Sydney and Melbourne Rockpool Bar & Grill up until Tuesday 30 April.